The former Denver Broncos and Houston Texans wide receiver is heading to New England. Former Denver Broncos icon Demaryius Thomas is joining the New England Patriots. 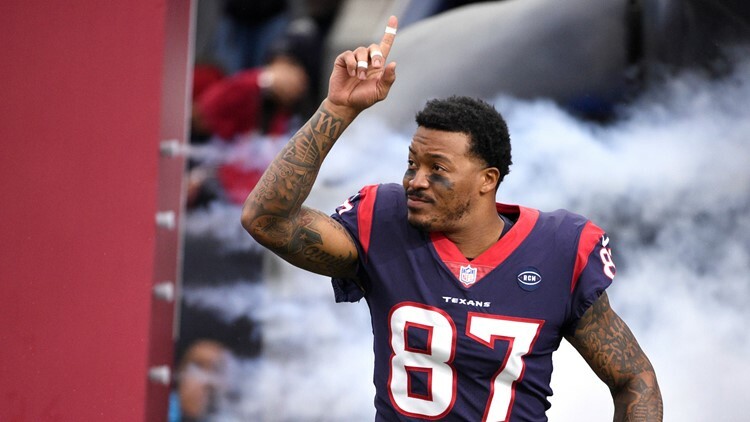 The free-agent wide receiver, who last played for the Houston Texans after leaving Denver, agreed to terms with New England on Tuesday. Terms of the contract were not announced. Thomas has spent nine years in the NFL after being a first-round draft pick out of Georgia Tech in 2010. At age 31, Thomas has played in 132 games, racking up 688 receptions for 9,330 yards and 62 touchdowns — most of which came from his time with the Broncos (2010-2018).